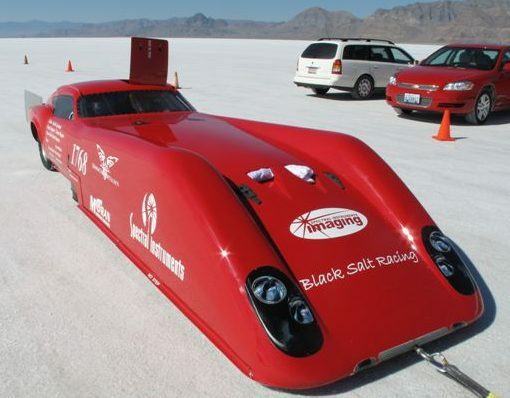 Keith Copeland of Black Salt Racing is a man on a 400MPH mission at the Bonneville Salt Flats..
"This year, barring any storms, there is no doubt that the track is going to be good. 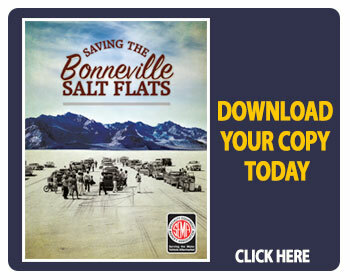 Mother Nature has finally cured the salt surface into one that is going to be great for racing. From the 0 to the 4 mile it is the best I have ever seen this early in the year. From the 4 to the 5 it is not perfect but is still much better than we have had for many years. The surface is smooth yet hard. This is a rare combination because when it dry’s hard it usually buckles up and has to be graded very careful. Some minor ridges are coming up but it is nothing very big. The ridges will be dragged out by the volunteer staff a couple of times before Speed Week. I do not want to get into politics here but although there are no bare patches the only issue is how thin the salt surface is. It is only a ¼ inch thick in spots. Given how hard the salt is I am very optimistic that this will not be a problem. The bed below the salt is also firmer and drier because the water table is also down. It is a good 3 inches down on the far end and about 8 inches down on the freeway end. 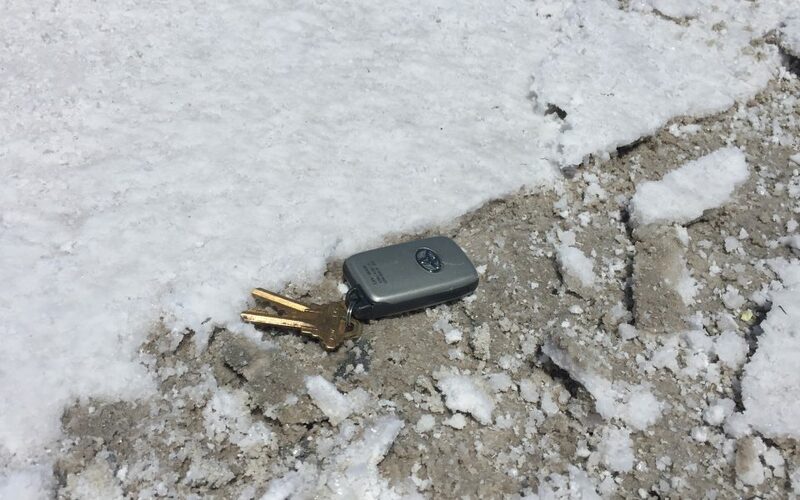 This may not sound like much but last year it was about ¾ of an inch below the surface. I am definitely bringing the car up to Speed Week this year." 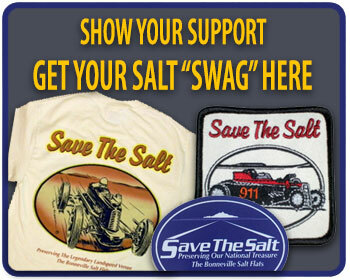 Save The Salt wishes the Black Salt Racing Team the very best stable speed record runs possible.